I like to be outside as much as possible during the long summer days. So when it’s dinnertime I want to get in and out of the kitchen quickly. 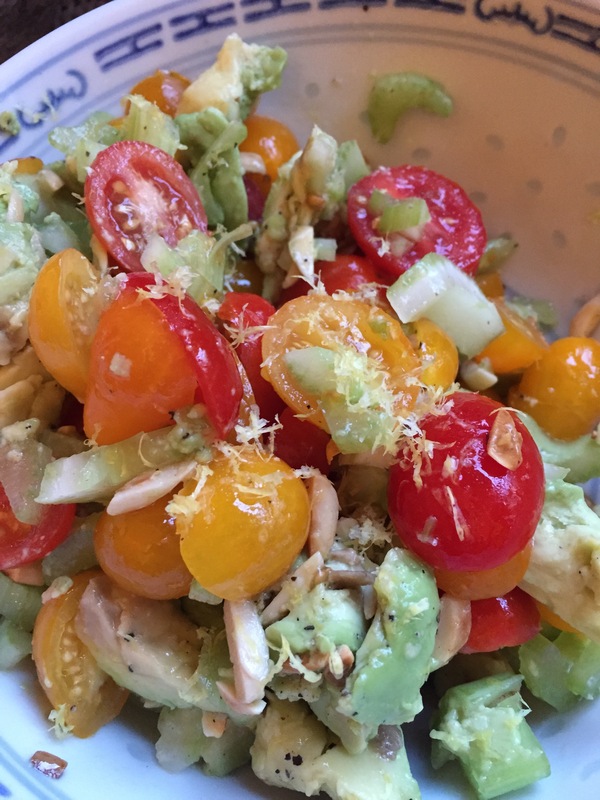 This is a crunchy refreshing cool easy salad that you can prepare in a flash! Place the tomatoes in a baking dish. Pour olive oil over top. Add the garlic powder, parsley and basil and season well with salt and pepper. Mix thoroughly with hands coating tomatoes well with all ingredients. 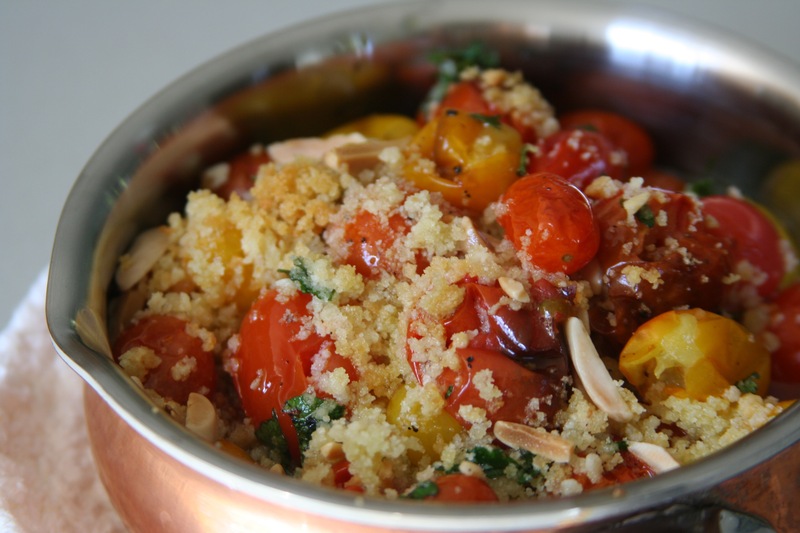 Sprinkle with breadcrumbs and almonds over the top. Drizzle top lightly with olive oil. Bake for 20-25 minutes or until bread crumbs are golden brown. This dish goes well alongside eggs.